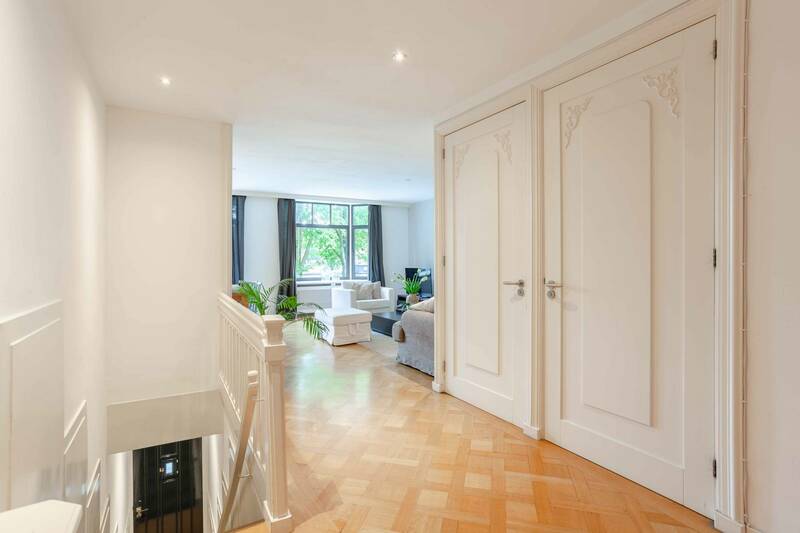 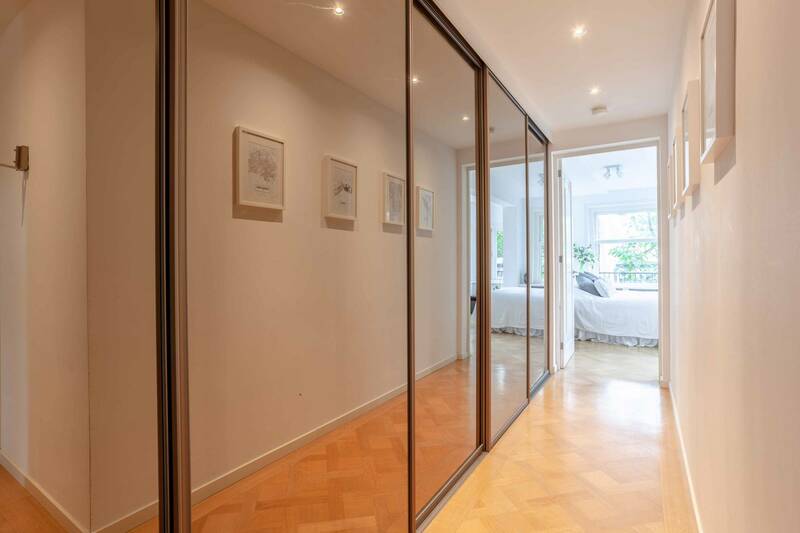 Stunning 2 bedroom apartment overlooking the Amstel River, fully furnished, spaciously spread across 100 m² and beautifully presented throughout. 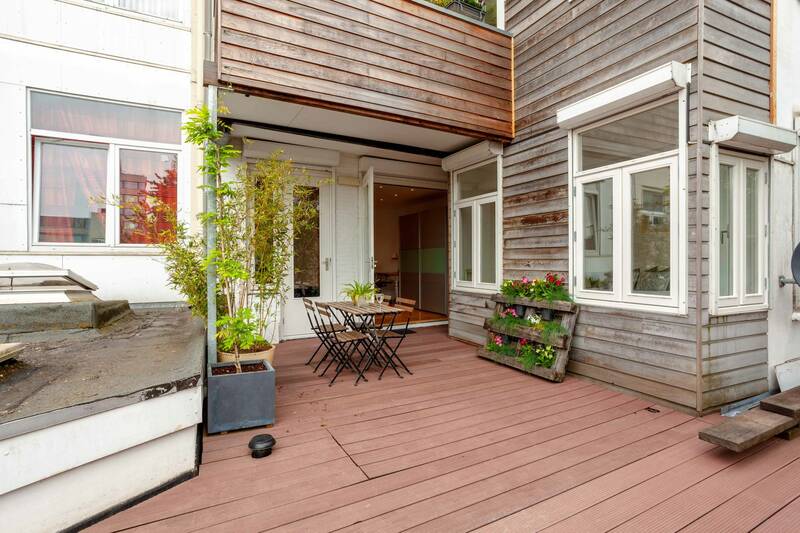 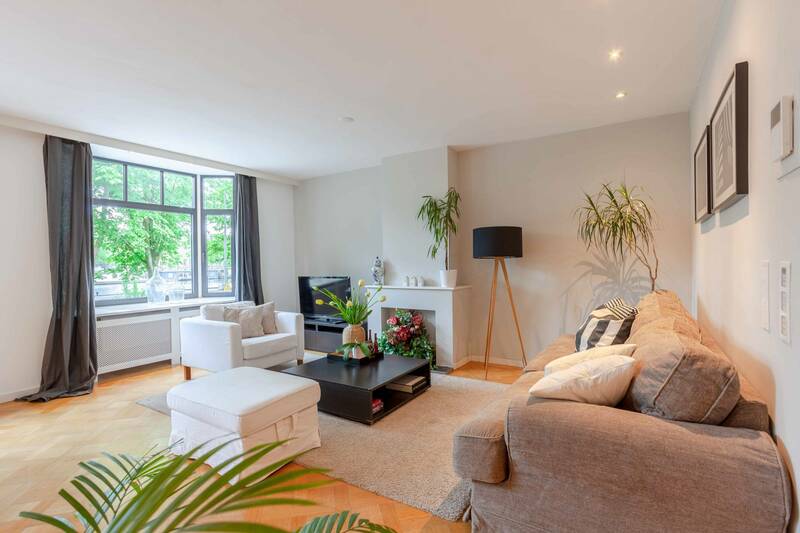 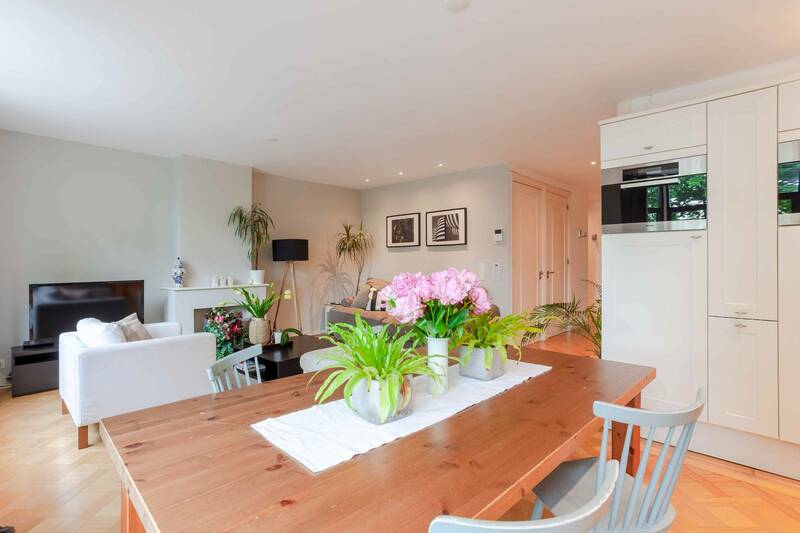 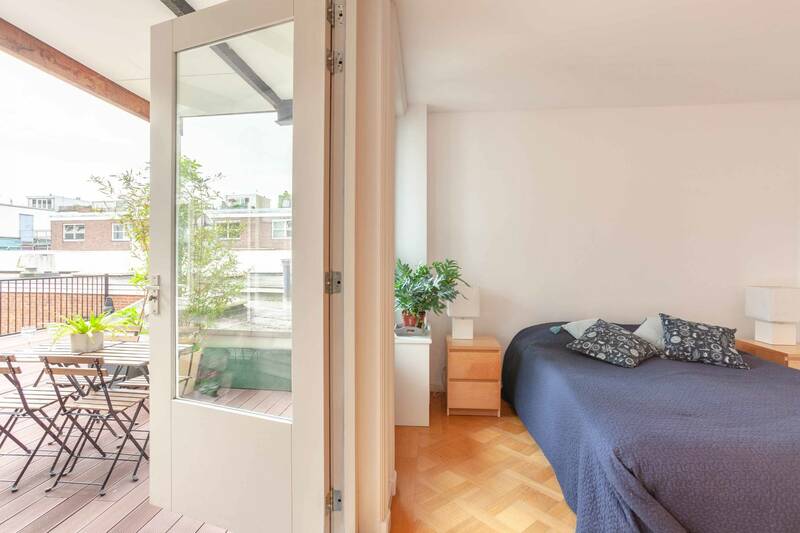 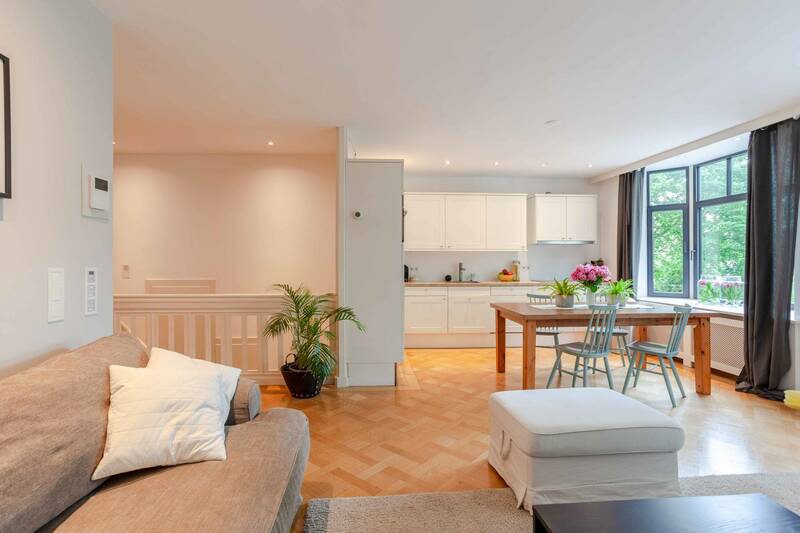 This 1st floor gem combines its desirable riverside location with wooden floors, stylish fixtures, modern amenities and a fantastic roof terrace to create the ultimate city home. 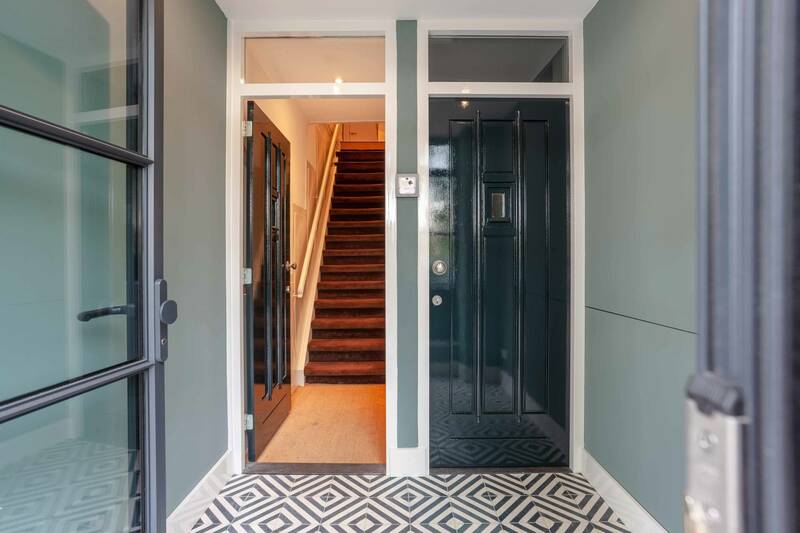 A striking entrance grants access to the open living and dining area. 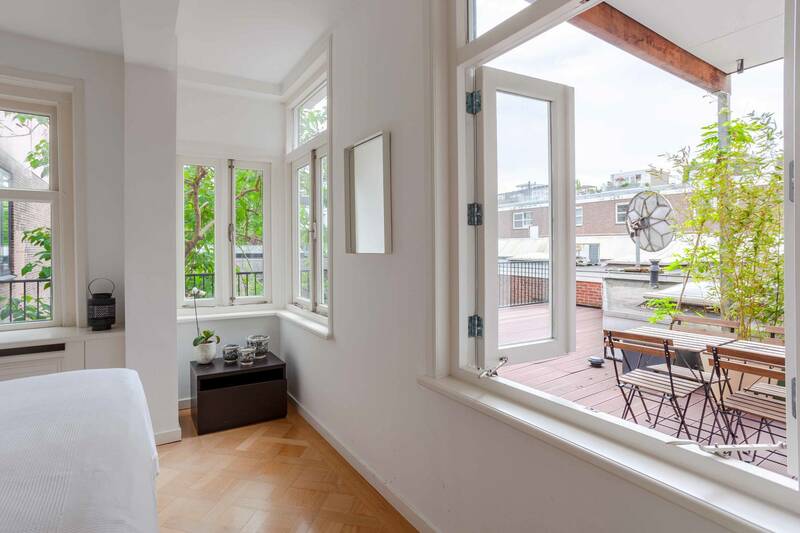 Handsome windows, scenic views and floods of natural light welcome after a busy day. 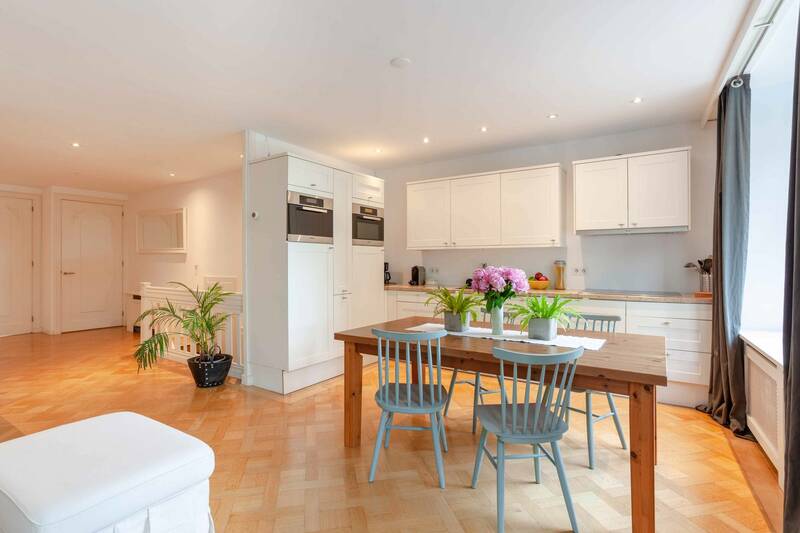 A flatscreen TV, sofa and a dining table share the space with the fully equipped kitchen, which supplies an oven, microwave, hob, fridge, freezer and a dishwasher. 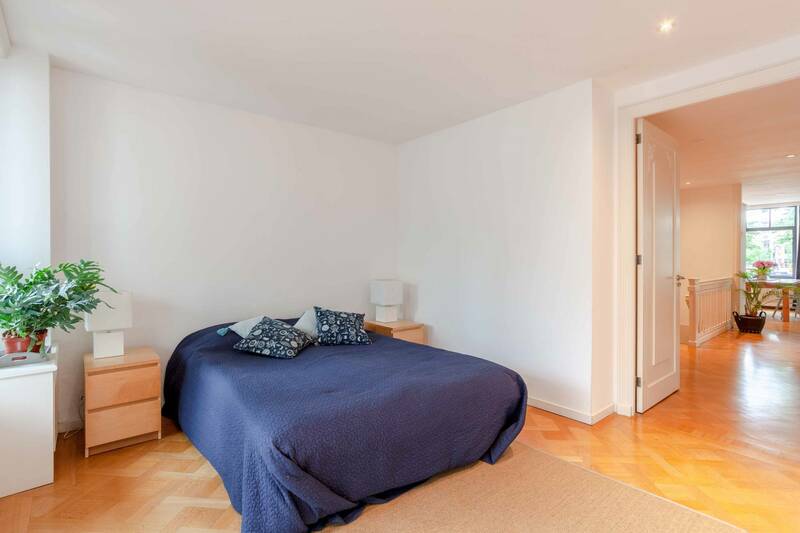 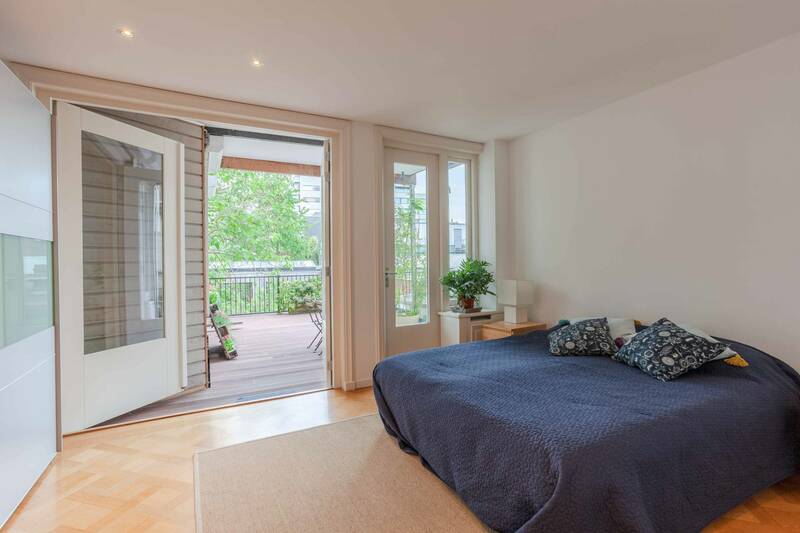 The two bedrooms are equally roomy and inviting, each fitted with a double bed and allowing entrance to the 55 m² terrace. 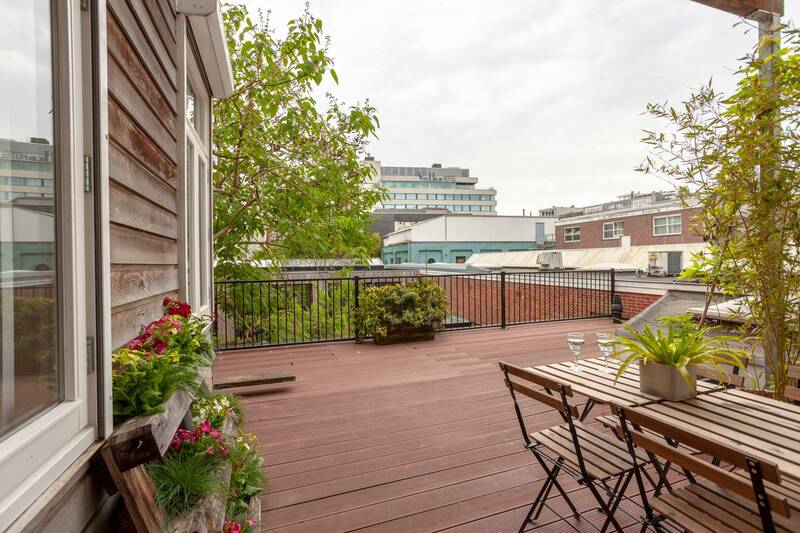 This wonderful south-east facing patio is a real luxury in the confined capital, perfect for indulging in al fresco dinners in the warm summer sun. 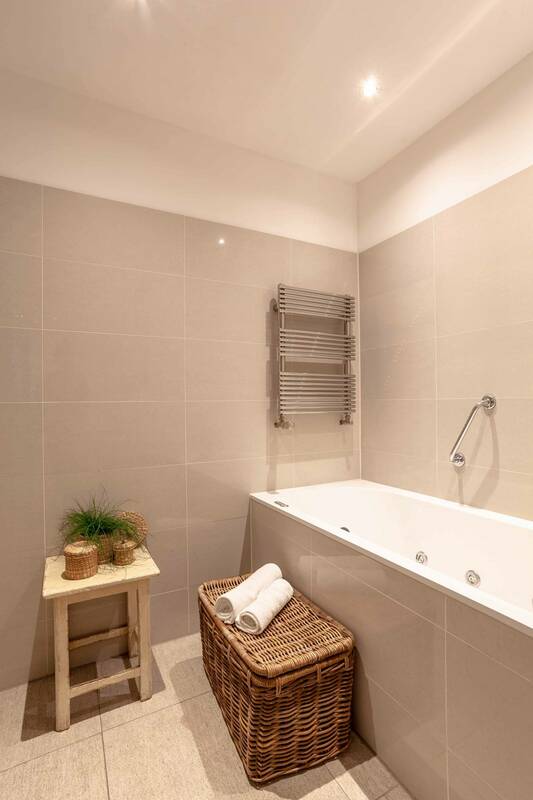 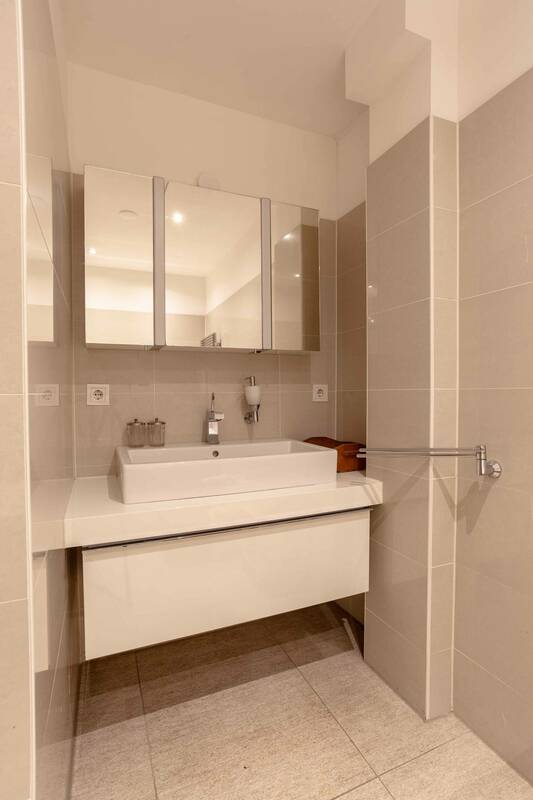 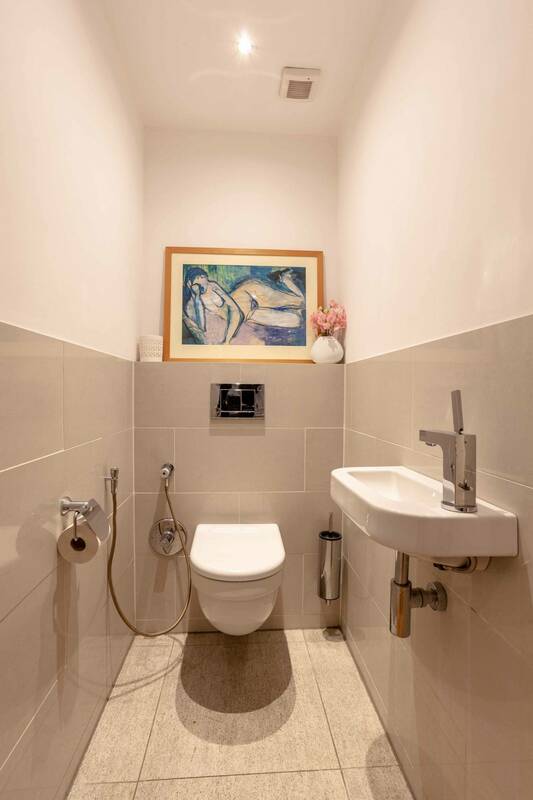 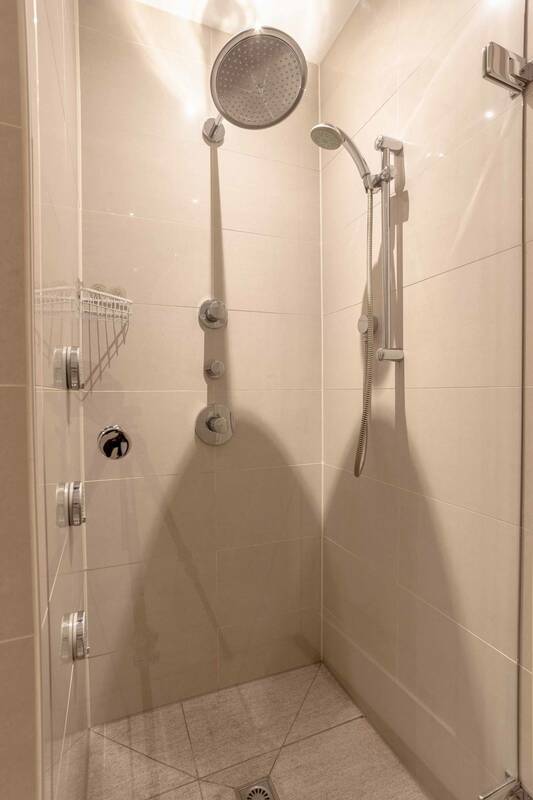 An elegant bathroom with a sink, shower and a Jacuzzi bathtub completes the dwelling in the utmost style. 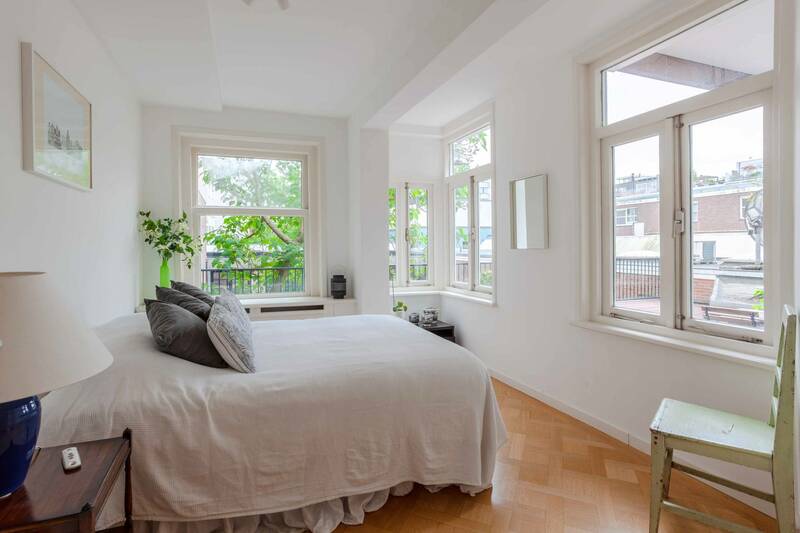 Lining the banks of the iconic Amstel River, the apartment is superbly situated for enjoying the best of the Dutch capital. 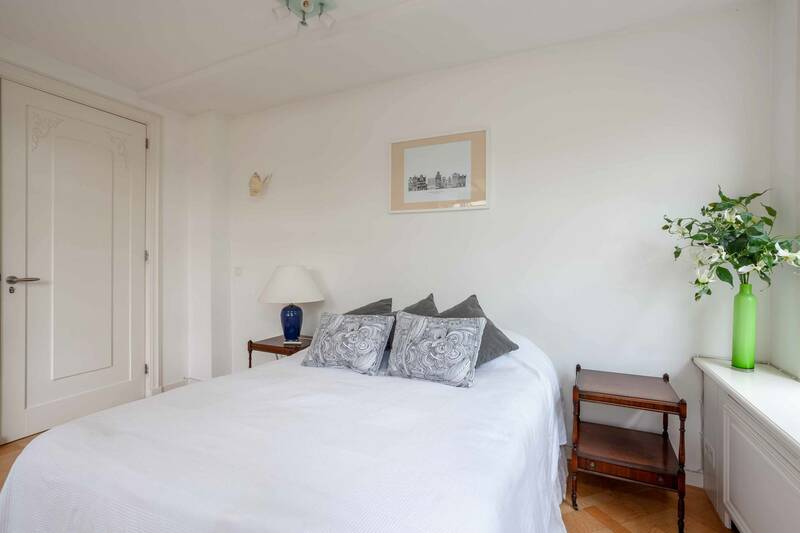 Aside from a picturesque setting, the accommodation is well serviced by local amenities, with an array of great cafes, stores and restaurants at your disposal. 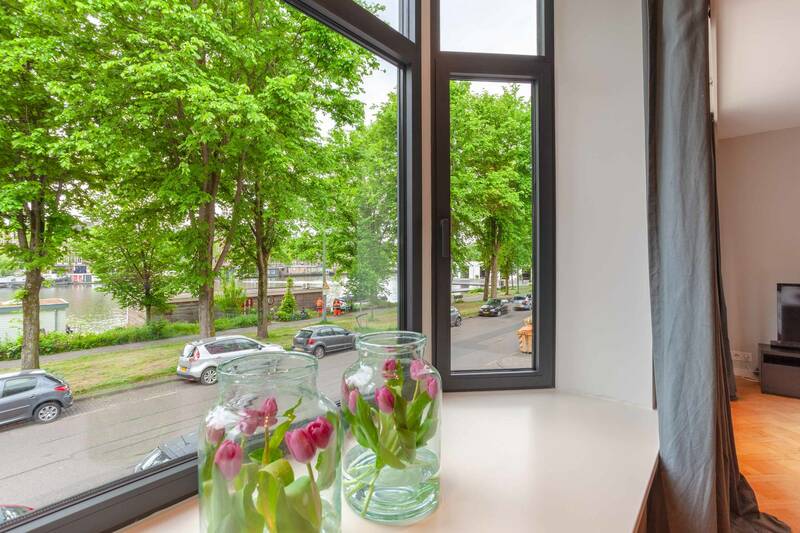 Two of Amsterdam’s most delightful natural spots, the Sarphatipark and the Oosterpark are accessible on foot in just 15 minutes. 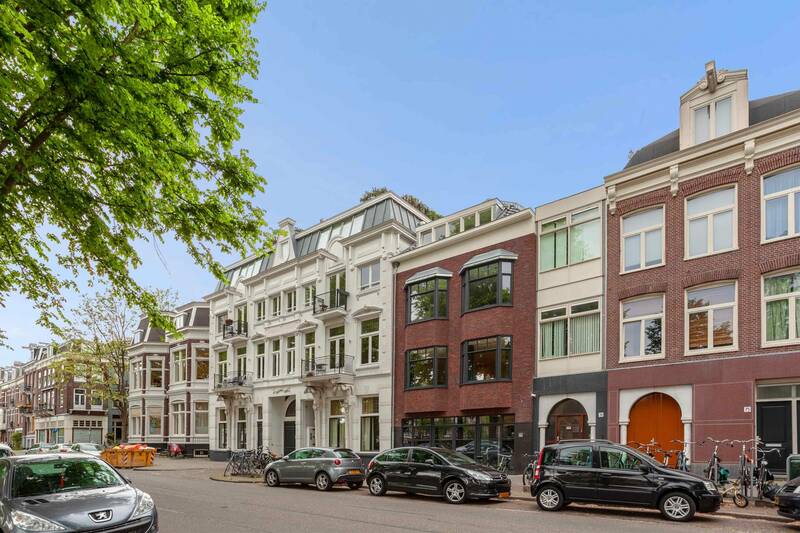 The nearest supermarket resides within 400 metres and the Wibautstraat metro stop is even closer to home, which grants admission to Central Station in 5 minutes. 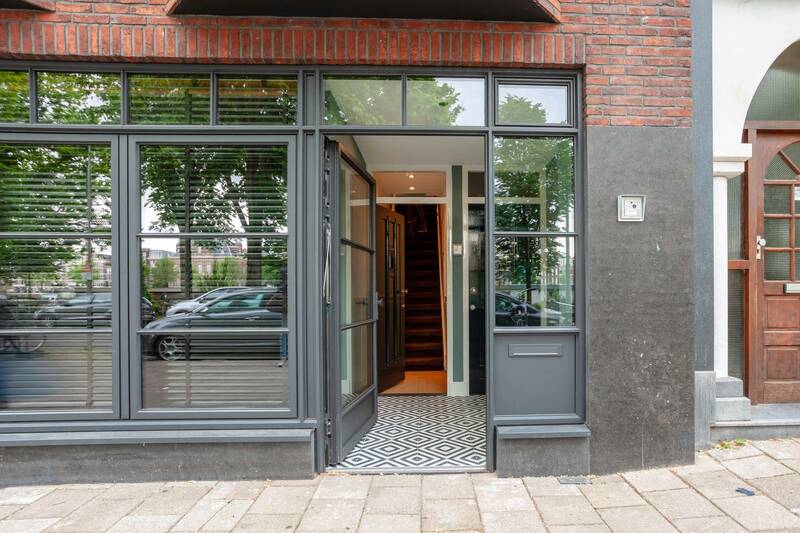 Amstel Station is also within easy reach and the A10 ring road is just a short journey by car. 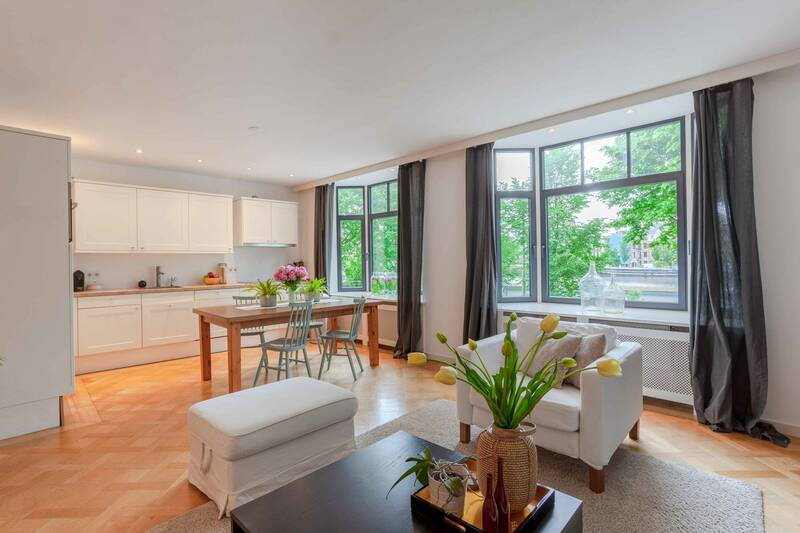 For a memorable city home alongside the water, look no further than this luxurious Amsterdam apartment!